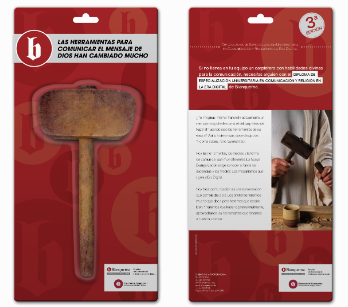 CLIENT: Blanquerna – Universitat Ramón Llull. PROJECT: In order to attract a very specific target audience to the Postgraduate Course in Communication and Religion in the digital age, we developed an outdoor campaign and direct marketing mailings. In this case we were in charge of the design of graphic pieces and creatives to promote the postgraduate and the realization of shipments to potential students.